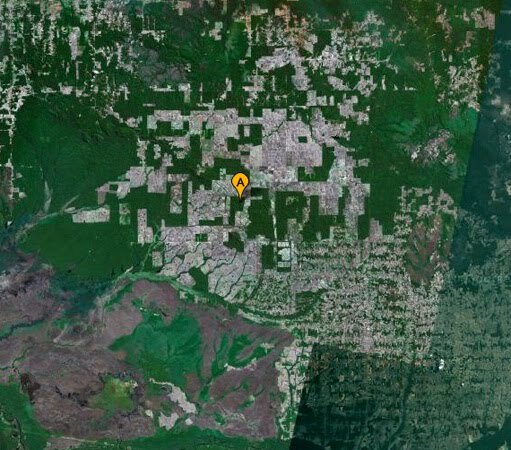 I'll Be Watching You: Lonely Tribal Survivor's Location as Depicted by Google Earth. Rondônia, Brazil: Slate. Remember my piece on the South American tribe that was buzzed by their advocacy group and the highway that is being built through their territory? Slate is reporting on a similar isolated lone survivor of a near-extinct tribe in the Amazon. He, too, is living in a dwindling territorial safe zone and has his own advocacy group that is planning to make contact: "The most isolated man on the planet will spend tonight inside a leafy palm-thatch hut in the Brazilian Amazon. As always, insects will darn the air. Spider monkeys will patrol the treetops. Wild pigs will root in the undergrowth. And the man will remain a quietly anonymous fixture of the landscape, camouflaged to the point of near invisibility." Painting Number 15, a.k.a. The Philosopher's Love Life. By Quentin Smith (Apr. 2002). 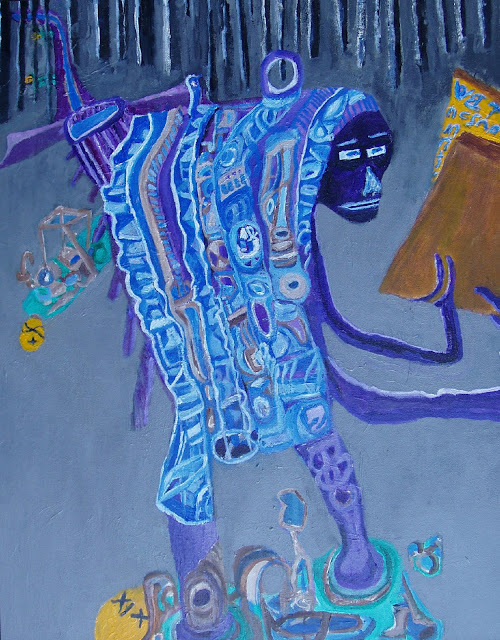 Today's blog post title is taken from a paper that caught my eye by Professor Quentin Smith, who works in the fields of the philosophies of time, language, physics, religion and cosmology. He's also a painter in his spare time. The paper concerns whether or not the beginning of time coincided with the beginning of the universe. Smith has papers up on the Web here, here and here. His article, Kant and the Beginning of the World (orig. pub. : The New Scholasticism, Vol. 59, No. 3, Summer 1985, pp. 339-346) opens with a question about how time may or may not have been defined prior to the beginning of time. This question also deals with the beginning of time to test the existence of God. 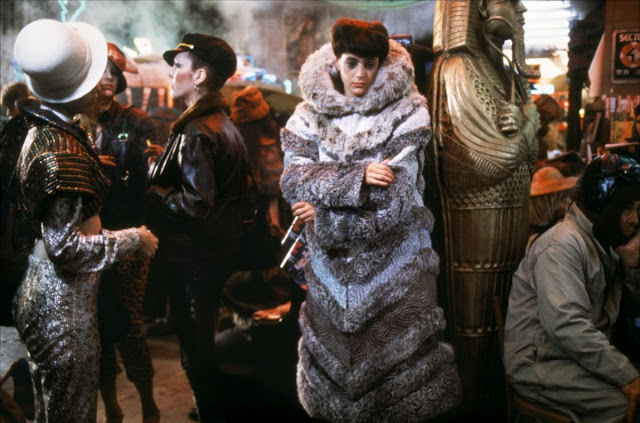 Sean Young playing Rachael in Blade Runner, a wistful android thrown in with teeming humanity (1982). Image © Warner Bros.
Postmodernists claim that all of our knowledge, and our entire mindset, ensues from language. Trapped inside the language game, we cannot think without linguistic structures. This philosophical theory condemns us to moral relativism and deprives us of agency outside of the systems that Postmodernists identify. Is this so? Or does language, with its foundations buried in our understanding of time, provide us with a secret trap door? Does time allow us to think outside of language? 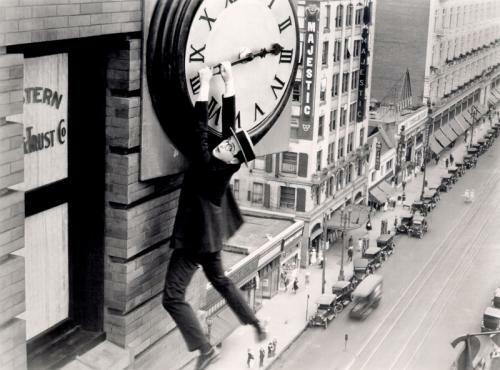 Comedian Harold Lloyd in the 1923 classic, Safety Last! From spiritual gurus and pop culture icons to geneticists and physicists, I turn to how philosophers approach time and space. A good overview of the theories of time is here at the Stanford Encyclopedia of Philosophy. First up of course is our awareness of death, from which come the principles of Fatalism, that is, a faith in predetermined destinies. From that awareness of death comes our whole awareness of reality and past, present and future - and from that comes the syntax of human languages, the structure of consciousness - the whole framework of our thought. Since Postmodernists argue that we cannot conceive of anything outside the game system of language, it's worth penetrating to the foundation of that system to see if we are, as they claim, well and truly trapped. Or does time grant us agency? 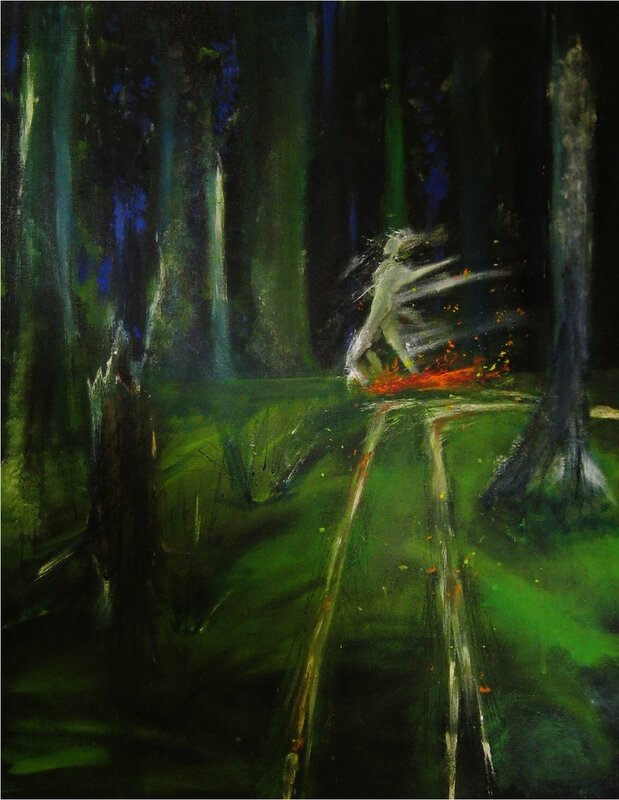 Wendigo (2010). © By VHS-Junkie. Reproduced with kind permission. The vampire craze has peaked and is finally on its way down. Twilight's suburban, sanitized Nosferatu for the SUV set is depressing in how devoid of horror it is. Stephen King has commented on horror as a moral genre: it describes the paths we must take to return to normalcy when terrible transgressions have occurred. Over the past few years, the Wendigo, a mythological monster from Canadian Algonquin legend, has enjoyed a resurgence. There have the been attempts to make the thing mainstream, as Cryptomundo, a blog devoted to Cryptozoology reports. More popularized versions are listed here at Newspaper Rock blog. But the Wendigo has resisted being turned into a cartoon version of itself, like the vampire, werewolf and mummy. There is something about it that is so dire and frightening that it cannot be popularized. 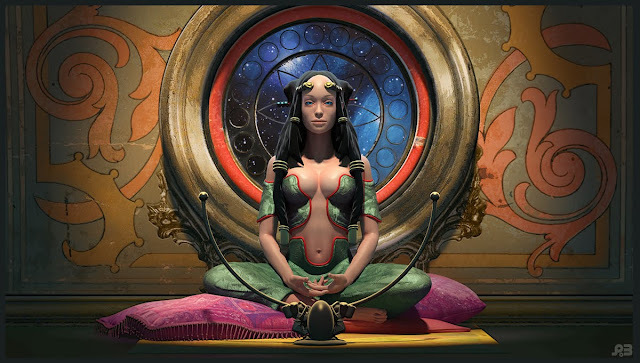 Irulan © by Pascal Blanché (2009). It's that time of year again for the international 3-Day Novel Writing Contest. You have to register here by post by September 3 to participate in the contest, which takes place over the 2010 Labour Day Long Weekend (Sept. 4-6, 2010). First prize is publication, and second and third prizes are cash. Testimonials are here. Poster for Fritz Lang's Metropolis (1927). I've found a great collection of retro-futuristic pictures of urban concept art at Dark Roasted Blend. These are speculations about a future in which "living in mega-cities was considered a privilege. That gleaming Metropolis on the horizon? - Something to aspire to, the glorious destination to dream about, to shape your life accordingly and reach it as the utmost reward... Such ideas were popular in the infant days of futurism, in fantastic literature on both sides of the Atlantic. Thankfully the 'mega-urbanism' dream is replaced today by quite the opposite idea of an affluent living in the country." Mega-cities are a futuristic concept from the 1920s that shaped much of the twentieth century's idea of cosmopolitan life. On your way to a café? Or sleeping in, having brunch, settling in to watch football? Sunday afternoons, especially as summer draws to a close, are filled with frozen moments of happy times mixed with frustration at all we still have to do in the year. There's also a lingering low-key depression the seasons begin to turn, a Proust-like nostalgia. Over at Andrew Scott's blog, there's a post entitled "Another Summer": "Summer 2010, will not be back, ever." I know summer doesn't technically end for a few more weeks, but for most people, this weekend is the turning point.